Branching out from a team of installers, The Furniture Guys started in 2004 to provide Toronto with an option to refurbish office furniture into new solutions. Over time, we built on our knowledge of repairing and installing furniture to do so much more. We now have our own team of designers and in-house shop to handle everything your project needs. 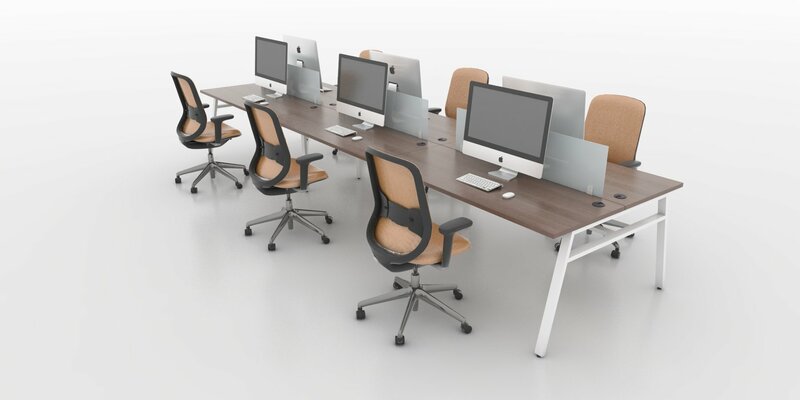 With experience in every area of office furniture, we provide a level of skill beyond a traditional manufacturer. Our teams work closely together to make sure that the design, manufacturing, and installation match what your project needs. Our own product lines cover everything from desks to storage to office kitchens, and we provide options from other manufacturers including Global Boulevard for many more items. All of this is done with the spirit of a friendly small business, and our service reflects that. Contact us today for your next project. Our team will work with you to find out exactly what you need, and how to make the best use of your space within your budget. Our designers review what you need and provide a free 2D drawing to visualize the final project. 3D drawings and Renders are also available to better highlight how your project will look. With your design in hand, our in-house shop brings your office furniture project to life and gathers the finishes and materials needed to make it just right. When the date arrives to get everything set up, The Furniture Guys can be there to deliver and install office furniture GTA and beyond. We'll do everything we can to make your next office furniture GTA project the best project!